Page Street Publishing, 9781624145421, 176pp. 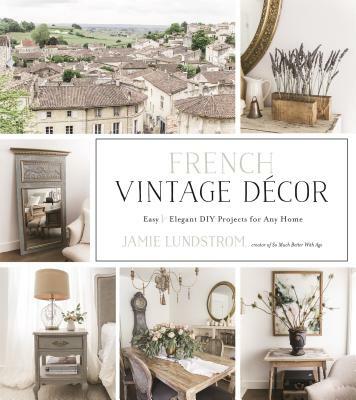 Rustic and elegant French décor never goes out of style—and with easy yet sophisticated accessories for your home, these 70 projects will transform your space and add that special touch to any room. Jamie Lundstrom is the founder of the blog So Much Better With Age. She has been featured on HGTV and the Today show, as well as in Country Living and Better Homes & Gardens. She lives in Vancouver, Canada.